Grow snowflakes was on our winter bucket list and turned out to be a huge pinterest fail. We tried both borax solution and an Epsom salts solution, neither worked, we obviously didn't have enough chemical in each time for anything to grow, sadly I don't have a photo but all that happened was our pipe cleaner snowflakes went rusty! Big flop! 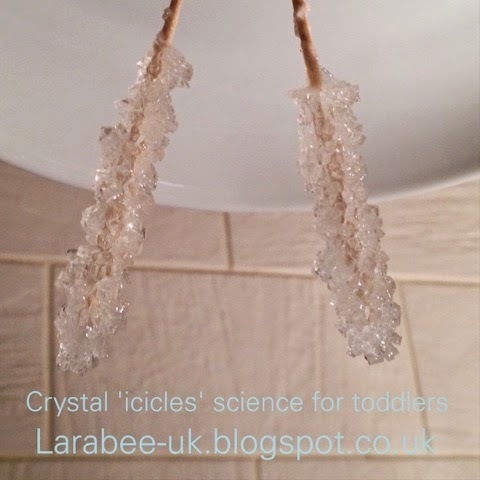 I saw these awesome rock candy sticks when I'd just about given up and so it occurred to me that we should make icicles instead! The same principle, just different ingredients. The ratio I used was 3-1, I actually used half cups 3 half cups of sugar to one half cup of water. 1. 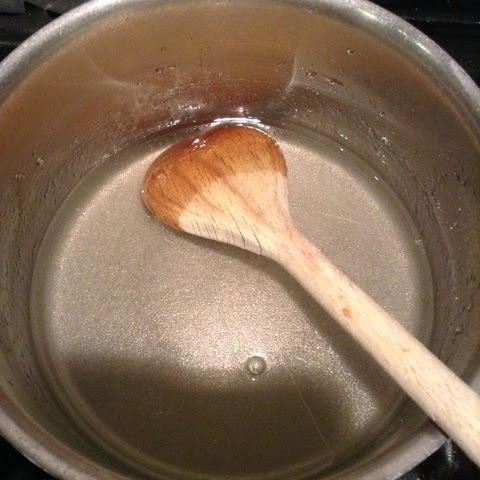 On a medium heat I dissolved one half cup of sugar once thoroughly dissolved, I added the next and stirred until it became warm. 2. Add the third amount of sugar a little at a time, the water will start to reach saturation where no more sugar can be dissolved. 3. Once sugar has been dissolved into the liquid, pour into a suitable container, the taller and thinner the better. 4. 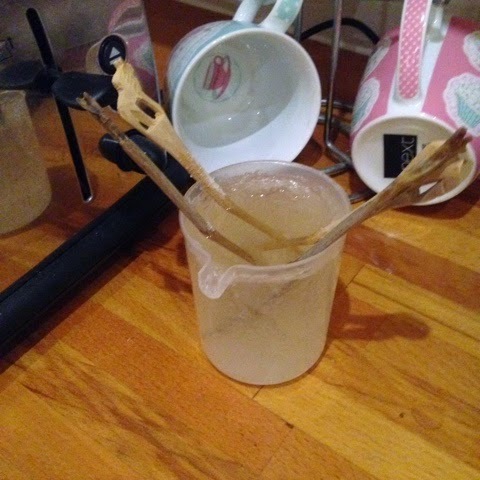 Dip a skewer or cocktail stick in water then in sugar before suspending in the solution. After a few days crystals will start to form, it took a week for the icicles shown to form. Here are some that are on the go at the moment. What a cool idea - I've never seen this before. My girls would love this! I presume you can eat them afterwards?